It's official: "Suicide Squad" is a big box office winner, bringing in an estimated $135.1 million from 4,255 theaters in its opening weekend. David Ayer's film easily broke the all-time opening record for August, ahead of the record set by Disney-Marvel's "Guardians of the Galaxy," which opened to $94.3 million in 2014. If this estimate sticks, the ensemble antihero movie starring Margot Robbie as Harley Quinn, Will Smith as Deadshot and Jared Leto as The Joker, will have beat the opening weekend of Disney Pixar's enormously popular "Finding Dory," which debuted to $135 million. That also puts "Squad" ahead of Fox's $132.4-million debut for "Deadpool," to potentially secure its position as the third-highest-grossing opening of the year. Meanwhile, EuropaCorp's fantasy cat comedy "Nine Lives" made $6.5 million from 2,264 screens. It stars Kevin Spacey as a billionaire who enters the body of a feline named Mr. Fuzzypants. Despite the sterling projections, "Suicide Squad" still opened below Disney-Marvel's "Captain America: Civil War" — which bowed to nearly $180 million in early May — and also to Warner Bros.' previous DC Comics movie "Batman v Superman: Dawn of Justice," which opened with $166 million in domestic grosses in March. The latest Warner Bros. comic book movie, produced for $175 million, built tremendous momentum going into its debut, amassing ever-increasing box office estimates over the past two weeks. Part of the reason: African American and Hispanic moviegoers made up a huge part of the "Suicide Squad" audience. According to PostTrak exit poll data collected by comScore, those two demographics gave the film a massive 81 percent positive score. Of all surveyed, 34 percent listed the ensemble cast of villains as the main reason they went to see "Squad." Will Smith was also a big draw, as 23 percent said they went to the movie to see him in action as Deadshot. And 21 percent were drawn by Margot Robbie as Harley Quinn. "Suicide Squad" reeled in $20.5 million during Thursday night previews, nearly doubling the previous Thursday August record, also held by "Guardians of the Galaxy" with $11.2 million. The Warner Bros. film made big money, particularly for a new franchise launch, and during a summer that's in desperate need of bigger box office receipts. Its huge opening also serves as a stark contrast to the film's critical reception, and its meager 26 percent Rotten Tomatoes score. Fans remain passionate about the film, which earned a B+ CinemaScore (the same as "Nine Lives"). Also worth noting: The film has a nearly-50 point differential on Rotten Tomatoes between critics and audiences — who gave it a solid 74 percent rating. With only a month to go until the end of the summer season, total domestic grosses are only at $3.2 billion, pacing well behind last summer's record box office — whose final tally of $4.5 billion seems unlikely to be topped. Another indicator that "Suicide Squad" was going to kill: The title has inspired a total of more than 2.1 million conversations on social media, according to comScore's latest PreAct results. That puts it at No. 1, ahead of Lucasfilm's "Rogue One," which has a total of 965,411 conversations when counted this week. The film revolves around DC supervillains, who are on death row for their crimes until a secret government agency called Task Force X led by Amanda Waller (Viola Davis) assigns them black ops missions in exchange for clemency. 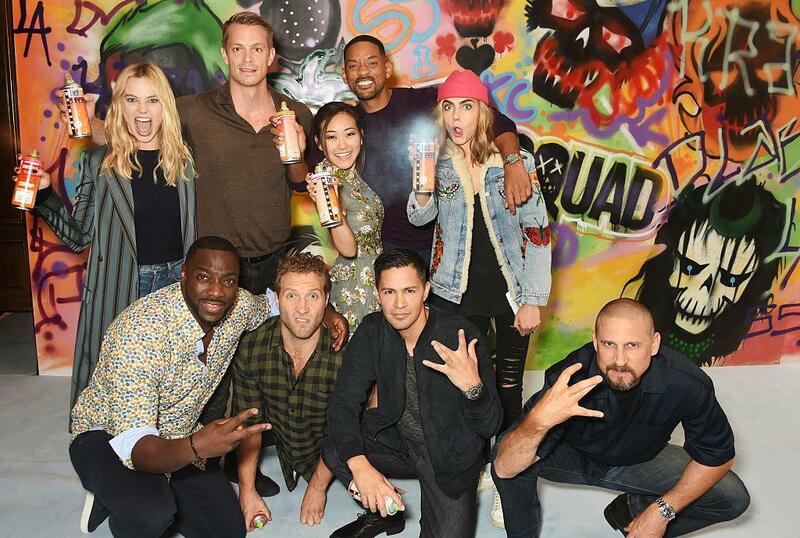 "Suicide Squad" also stars Ben Affleck, Joel Kinnaman, Jay Hernandez, Jai Courtney and Adewale Akinnuoye-Agbaje.